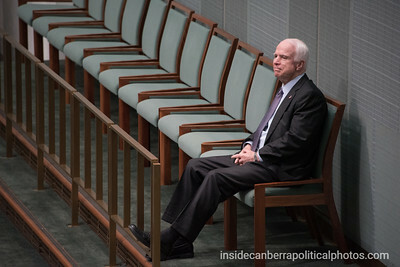 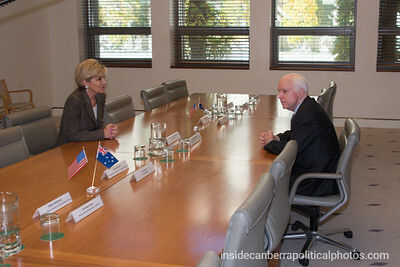 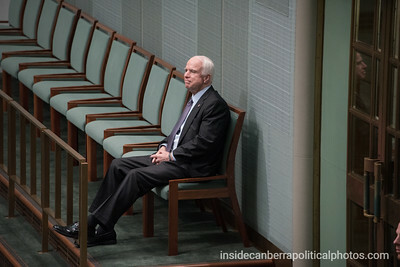 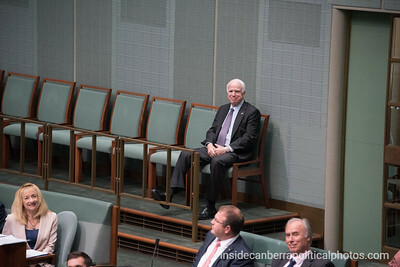 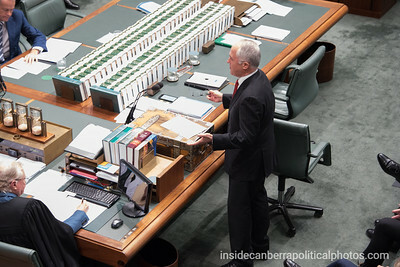 The Republican candidate for the 2008 Presidential election, John McCain, today visited Parliament House. 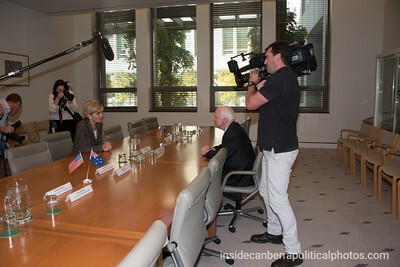 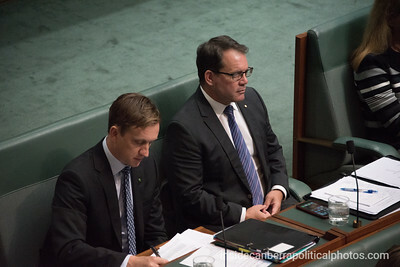 He met with the Foreign Minister before attending question time in the House of Representatives. 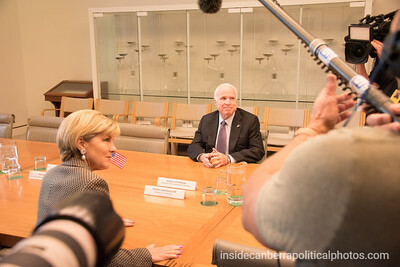 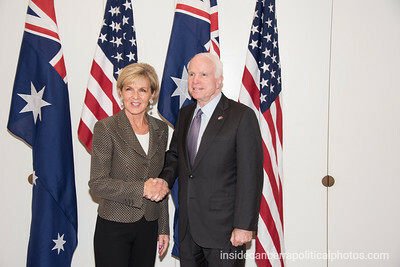 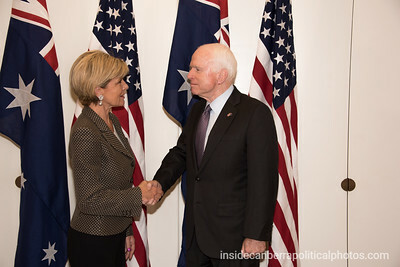 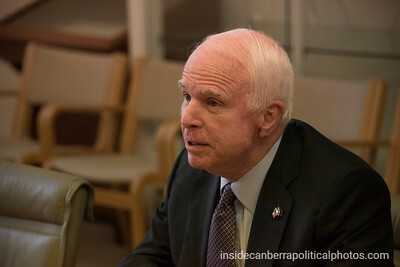 Senator McCain is visiting Australia in his role as Chairman of the Senate Committee on Armed services. 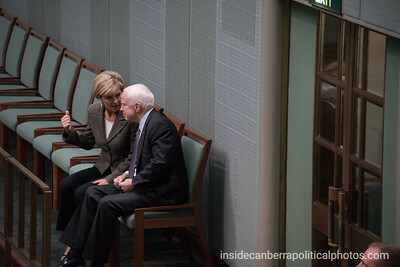 Senator John McCain acknowledges the Prime Minister as he welcomes him to Parliament. 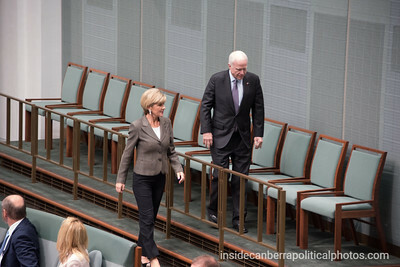 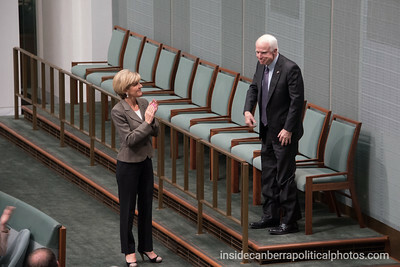 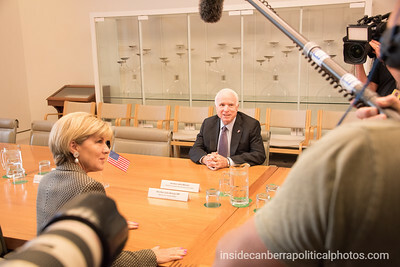 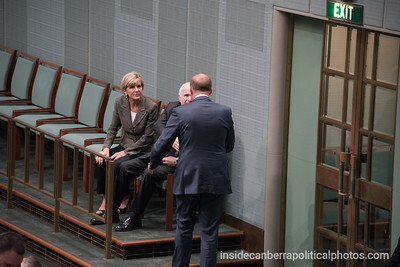 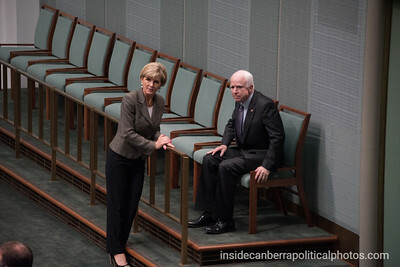 Julie Bishop claps alongside Senator McCain. 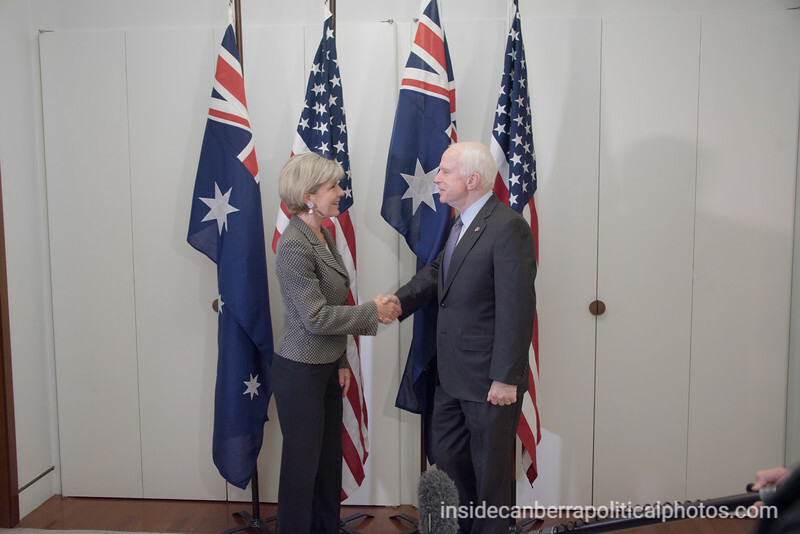 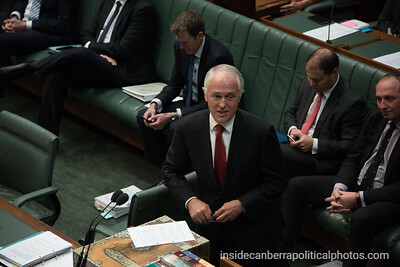 Prime Minister Malcolm Turnbull speaking about USA Senator John McCain to the Australian House of Representatives. 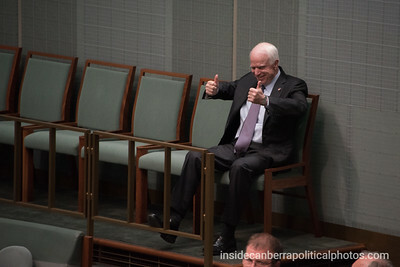 Senator John McCain gives the thumbs up in reaction to Malcolm Turnbull's comment about the US rugby team reclaiming its status as rugby world champions. 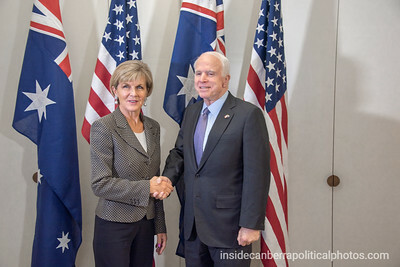 The Prime Minister pointed out Senator McCain's love of rugby. 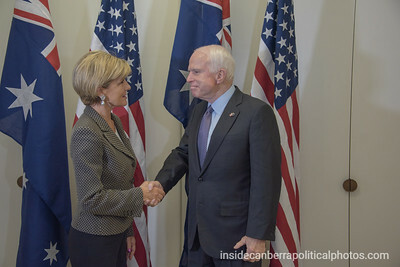 "May I conclude this welcome by noting a fact not so well known to honourable members, the Senator shares one of our great national passions rugby football and I understand he is looking forward to the United States reclaiming its status as rugby world champions, the United States won the gold medal for rugby union at the 1924 Paris Olympics and remained reigning champions until rugby was played again in Rio last year. 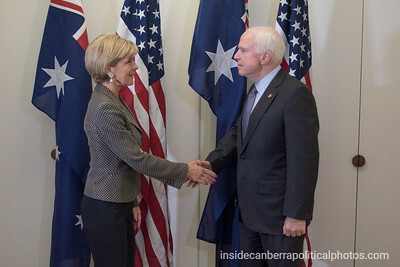 Senator McCain you are among friends, you are a great friend of Australia, welcome to our house of democracy here in Canberra." 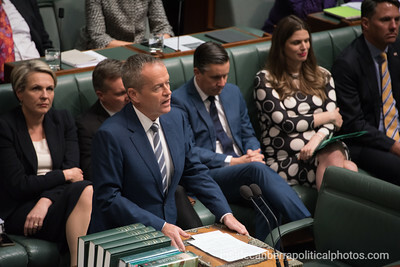 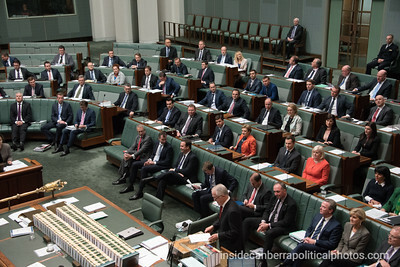 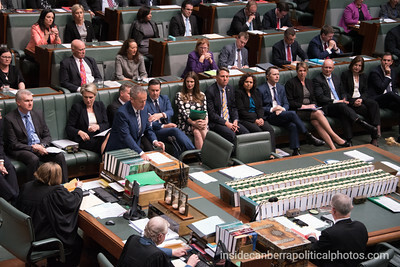 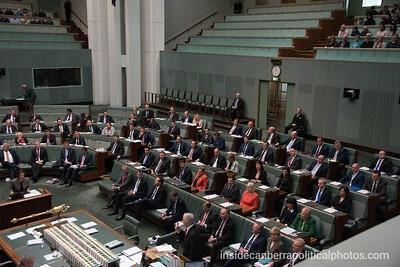 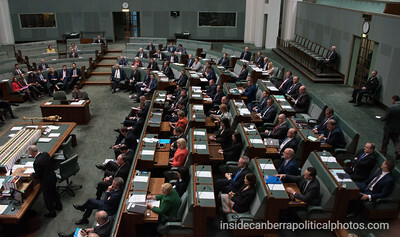 said the Prime Minister to conclude his welcome speech in the Australian House of Representatives in Australia's federal parliament.